"I AM SPARTACUS!!!" 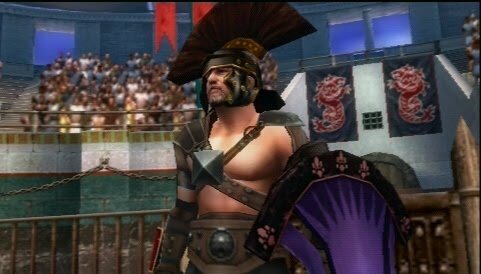 Okay, so I have yet to complete my Cos-play Spartacus Outfit...but, I have the next best thing, Gladiator Begins on the Sony PSP. 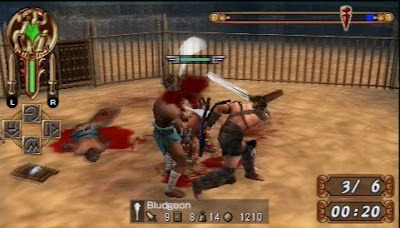 So if you have ever wondered what it would be like to be a Gladiator Slave working your way up from common labor slave to the pride of the Roman combat arena well, short of a weekend Cos-play Session this is your means to rise up and be called the glory of the coliseum! Your Career starts with you being a common slave sold to a gladiatorial ludus and after a long series of training exercises you win your chance to fight in the largest venue of Rome, the Coliseum and soon your skills will begin to draw the Eyes of many a Slave owner and Roman dignitary's. As in ancient Rome, You earn a meager salary to pay for many things such as many trips to the area doctor to be sewn up after a bout or to buy and trade weapons and armor upgrades which will help to advance you to the next level of fighting in the blood and sand. 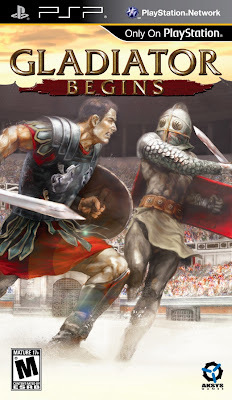 Then as the legend of your name and accomplishments waft into the ears and eyes of the higher elite class of roman citizens you find that many have ulterior motives and use of your skill at the sword and blood letting. In one case the Wife of a Roman Dignitary reveals to you that she has had many a late night encounter with the gladiators that you will be fighting and now they are blackmailing her with the threat of revealing her well, let’s call it indiscretion. So if you kill them in the arena, those tongues will be silenced and your purse will grow accordingly. Debauchery in Ancient Rome...I love it. The game play is the typical sword swatting, head bashing, and exercise as well as learned defensive posturing. You will quickly learn the moves as well as new ones as the game progresses. My personal favorite is the tried and true sword to head routine but that means nothing if you don't have you defensive moves ready to employ at a moment’s notice. And there you have it, Gladiator Begins is up to you and your skills to take you to the top and wear the mantle of ultimate fighter glory. Are you up to the challenge? 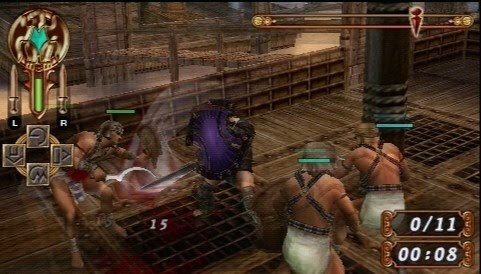 So prepare your battle cry, don your loin cloth, and become the treasure of the Roman battle circuit. Just don't stand on the coffee table while doing so, I have found out the hard way those tables are not that strong. This is Zircon, no Sparticon!! (Wow, sounds like a Transformer) and I have left the Blog.